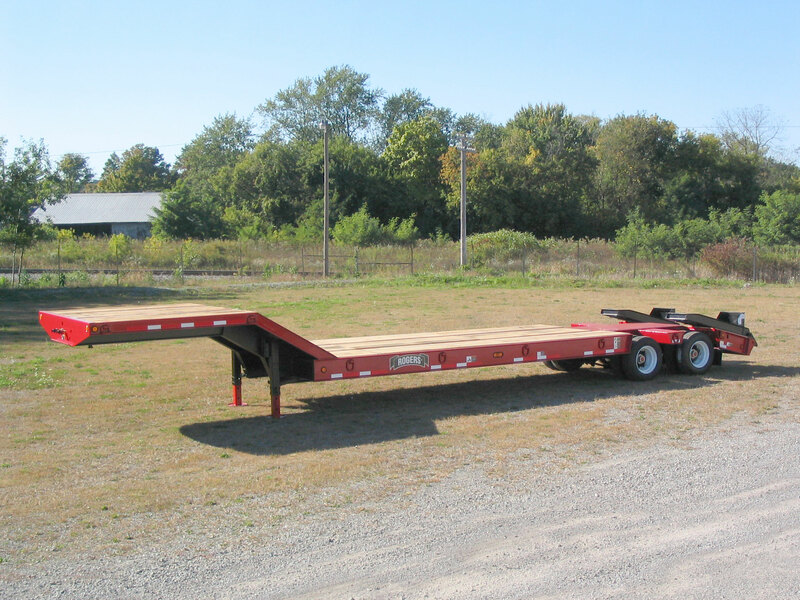 The MH25 is a 25-ton capacity easy-to-load "carry all" lowboy. Built on a four-spring suspension with 215/70R low-profile tires, it has a low deck height AND ample ground clearance. The full width gooseneck can handle machinery or cargo. The durable pin type parking legs are easy to operate and have a static capacity of 40,000 lb. The gooseneck beams and main beams are fabricated of 100,000 psi minimum yield steel for greater strength with less weight. "E–Z Flip" 60" loading ramps with the 62" sloped beavertail reduce the climb angle for machinery. The multi-leaf four-spring suspension provides a smooth, stable ride.